Russia is now producing more oil than at any time ever since the fall of the Soviet Union. Amid the recent decline in global oil prices, Russia is increasing oil production to maintain its normal level of incomes and to protect its leading positions in the global market. The ongoing drop in global oil prices has been described as a struggle between US oil-producing companies and OPEC, led by Saudi Arabia. However, Russia is another major oil producer that is increasing production as oil prices are below $50 per barrel. Despite an economic crisis and Western sanctions Russia is determined to retain its leading positions in the global oil and gas market, an author for Christian Science Monitor wrote. As oil prices drop, oil-producing countries usually respond by cutting production in a bid to boost prices. But as prices plummeted – first last year and then again this year – Saudi Arabia and the US, the world’s largest oil producers, have continued to pump oil in an effort to maintain market share. Meanwhile, Russian companies are also increasing oil output even as dropping prices have significantly damaged its economy, the article read. Russia is now producing more oil than at any time ever since the fall of the Soviet Union. The effects of the low prices have spanned across the world over the past year, affecting numerous countries from Venezuela to Malaysia. As prices drop, energy-based economies have had to ramp up oil production to maintain their normal level of income, the author explained citing experts. This is the case of Russia, but it may not be the only reason why Russian companies refuse to cut production, the article read. The Russian government and businesses are using the ruble devaluation and other maneuvers to adapt to the low prices. At the same, Moscow hopes that new investments from the East will allow for a long-term increase in output, it added. "They have no sense that they are creating the problem. They see market prices as out of their control and they’ll deal with it. It’s a philosophy," Chris Weafer, a founding partner of Micro-Advisory Ltd., told to CSM. According to experts, for Russia now the main goal is to maximize capital inflow and minimize the consequences of the Western sanctions. As a result, Russia is taking steps to diversify its markets, to cut reliance on Europe, and to reach new lucrative contracts with China and India. "If China or anyone else is willing to give them money for oil, they’ll increase production," Weafer pointed out. "The sanctions allow China and India to get better deals, but it’s still good business for Russia." China is currently is the world’s leading oil buyer. 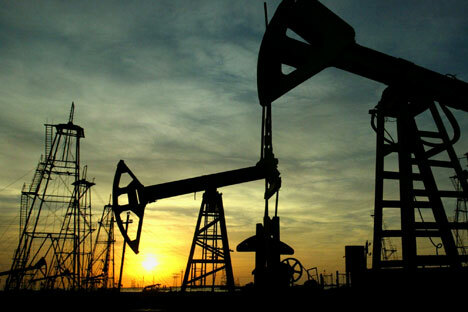 Recently, Beijing signed a set of major oil-for-loan deals. In May, Russia became China’s largest supplier of oil, according to the article. What is more, the ruble devaluation has allowed the Russian government to stave off the undesirable effect of low prices. Last year, Russia abandoned its policy of maintaining a strong ruble and floated it. Since then, ruble has devaluated as the price of oil fell. According to Weafer, the increase in oil output allows the government to maintain the needed level of ruble incomes and control the budget deficit. A decrease in oil production in Russia is possible in a long-term perspective, the author noted citing Ariel Cohen, Senior Fellow at the Atlantic Council’s Global Energy Center. "If they cut back it’s not because they want to; it’s because they don’t have the money, and they may not have the technology. In western Siberia these are old, exhausted fields. So they need to go deeper or develop shale, which they don’t have the money to do," Cohen was quoted as saying by CSM. Nevertheless, most experts agree that even if Russia cuts production it will not be very much. "Many of Russia’s oil producers are publicly listed companies beholden to the whims of minority shareholders. That means the government could potentially face legal challenges if it were to cut production significantly," according to the article. Finally, Russian President Vladimir Putin and his team want Russia to retain its position as one of the world’s leading power. Maintaining average output gives Russia a steady stream of cash flow and maintains its positions in the global market, Weafer underscored.